[Nature made] 네이처메이드트리플 플렉스 트리플 스트렝스 200 캡렛Triple Flex Triple Strength 200 Caplets건강한 관절 유지를 위한 트리플 플렉스! 매일 2 정을 식사와 함께 섭취하세요. 하루 안에 1정을 따로 복용하거나, 동시에 복용하셔도 됩니다. 4 ~ 6 주 정도 꾸준히 섭취하는 것을 권장 드립니다. 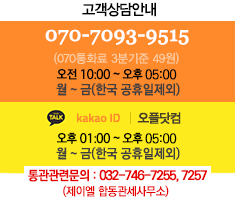 3 가지의 관절 건강에 중요한 성분이 혼합되어 있습니다. 관절 건강에 중요한 성분이 전부 포함되어있습니다. 관절 유지에 매일 필요하고 중요한 영양소를 공급합니다. 2 정 당 1500mg 글루코사민 하이드로클로라이드, 800mg 콘드로친 설페이트, 750mg MSN 이 함유되어 있습니다. Caution:If you are pregnant or nursing, or allergic to shellfish, consult your health care professional before taking this product. WARNING: Consult a physician before using this product if you are taking any medications. Nature Made® TripleFlex Triple® Strength should be used with caution when combined with: blood thinning medications (e.g. Warfarin and Coumadin), anti-diabetic drugs, anti-neoplastic drugs and nonsteroidal anti-inflammatory drugs (e.g. ibuprofen and aspirin). Suggested Use: Take two caplets daily, with food. Caplets can be taken together or at different times during the day. Take 4-6 weeks to see results. 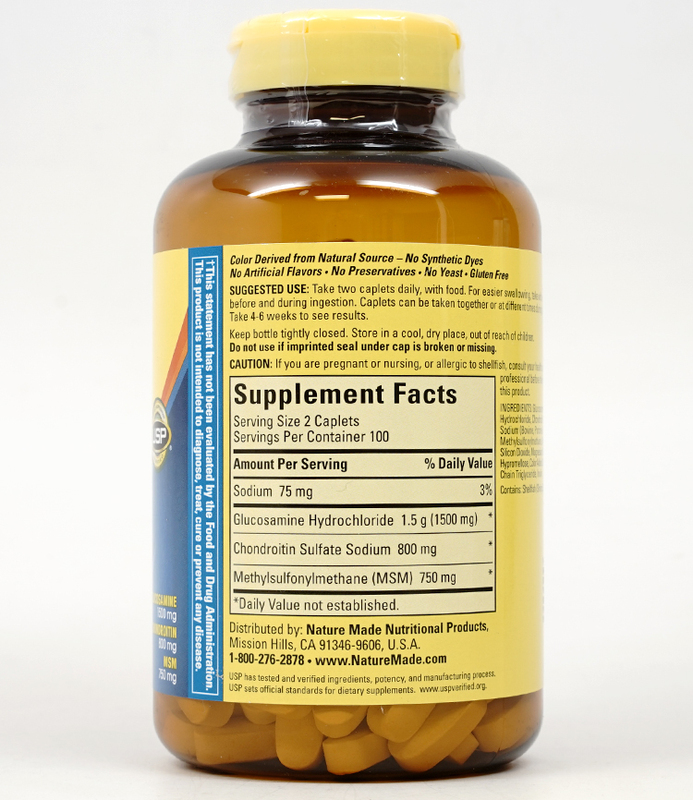 Ingredients: Glucosamine Hydrochloride, Sodium Chondroitin Sulfate (Hydrous), Methylsulfonylmethane (MSM), Hydroxypropyl Methylcellulose, Color Added, Silicon Dioxide, Magnesium Stearate, Polyethylene Glycol, Cellulose Gum, Triethyl Citrate, Polysorbate 80, Dextrin, Soy Lecithin. Contains: Shellfish (Shrimp & Crab) and Soy. Color Derived from Natural Source – No Synthetic Dyes. No Artificial Flavors. No Preservatives. No Yeast. Gluten Free.